I have these awful words that plague me. I call them crutch words. 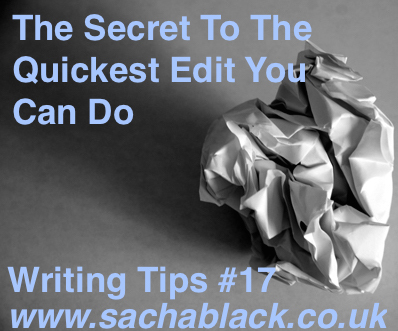 They are those pesky words when I am in the zone writing a first draft that creep into my work…over and over and over again. They are an annoyance, an irritation, a PLAGUE on my life! They are the annoying ‘go to’ words I don’t even realise I am using. Of course I have to spend hours trawling through my work to ensure there aren’t loads of them littered through my text. I’ve seen Wordle before, but for some reason it doesn’t appeal to me as an editing tool. It’s lots of fun, though. I think I will run a couple of posts through it, just to see what pops up. And I’m glad to be reminded of it. Have fun in Austin. Spring is in full bloom around here, and it ought to be beautiful. It’s warmed up, and there are wildflowers galore. Not only that, I can hear the first baby ducks of the season out in the marina. They get separated from their mamas and raise such a ruckus I hardly can stand it! I used Wordle on a chapter of my memoir and oh, my goodness, took two hours to change “like” from similes to metaphors or delete or revise sentence all together! It was an eye opener to say the least. I’m hoping the fields of bluebonnets are out. The one patch I have out front has tiny tight buds on it. By the time I get back, maybe a full bloom. I’m so happy to be going back. Haven’t been since 2001 and along with living there, Austin was always my go-to place when friend Cynthia was alive. I’ll have to drive by my little rock house on the east side of I25 and see if UT has taken over the neighborhood. And walk along 6th Street and smile at the music. Maybe even teach my husband the two-step. Oh, and go to conference workshops…..But I love love love heading to Texas. I’ve traveled that route from Kansas to central Texas since I was 19 years old and the son’s dad stationed at Ft. Hood. Mercy. Wow thanks Janet for sharing this post with us… I too have crutch words and must clean up my next post before publishing it! You’re welcome. I thought it pretty handy. Heading for Austin in a few days for an international poetry festival. I’m probably not going to be posting much until the middle of May. I’ll miss you! Oh sounds like a lovely trip!! Enjoy and look forward to reading you upon your return… I’ll miss you too! Thanks so much for reblogging this. I am really glad you found it useful ‘like’ is such a pesky word, I had a whole new set of words in my last piece! 😄, sigh. Yeah, I figured I’d have more. I only looked at the first chapter and that took me through the whole ms.!! We persevere. Ditto at seeing yours. J.